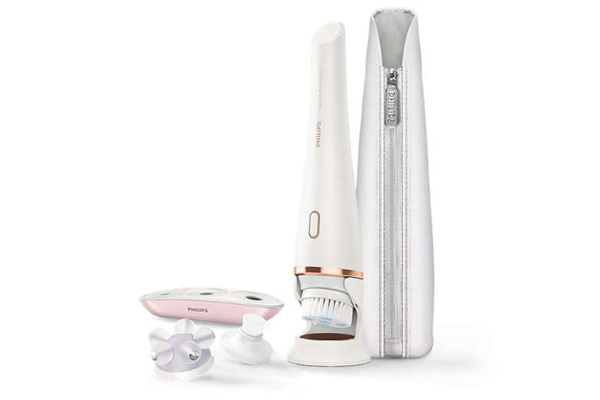 Taking skincare to a new level, Philips helps you make every day a facial spa day with their best facial device yet. 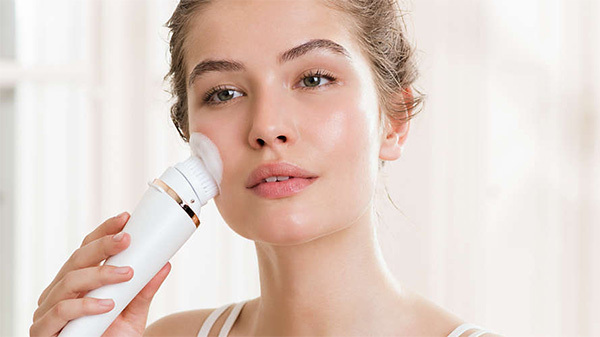 Facial cleansing devices have been creating a good deal of buzz in the skincare world for a while, bringing improved cleansing and exfoliation to our precious facial skin. 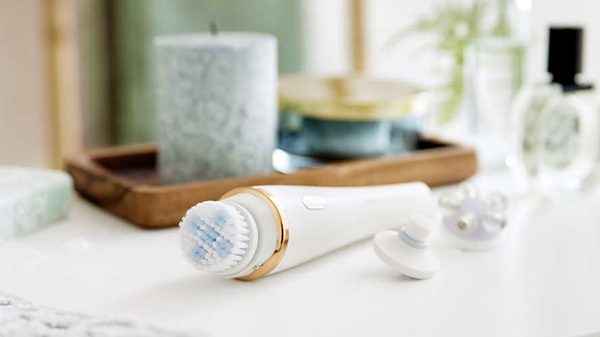 The latest, and most advanced, device from the Philips skincare team is now available in Canada. The VisaPure is designed to optimally redefine skin, by gently, but effectively, cleansing and exfoliating to reveal pure, revitalized skin. The device operates with Philips’ DualMotion Technology which brings unique benefits when used with the three different head attachments. Using all three tools gives you a complete approach to DIY facial care. Designed to reduce the appearance of pores, an amazing 9 out of 10 women have seen immediate results. This brush helps you reach and cleanse the trickier areas around your nose. Developed with help from Japanese massage experts, the DualMotion effect revitalizes your face by increasing blood circulation bringing life into your skin. The Revitalizing Massage Programme lasts three minutes, and allows you to add a facial massage to your daily routine, or whenever you need a quick moment of DIY spa zen. The brushes have a unique bristle composition of different thinness to optimally cleanse pores, and the brushes are made with a delicate nylon that stays clean and fresh. The VisaPure is easy to clean using simple soap and warm water in the sink. The VisaPure Advanced device comes with the three head attachments mentioned above along with a pouch. A range of extra and replacement brushes are available as well. The Philips VisaPure can be found in Canada at retailers including Hudson’s Bay, HomeOutfitters and BestBuy. Suggested Retail Price is $199.99.